This is my new favorite simple burger recipe. 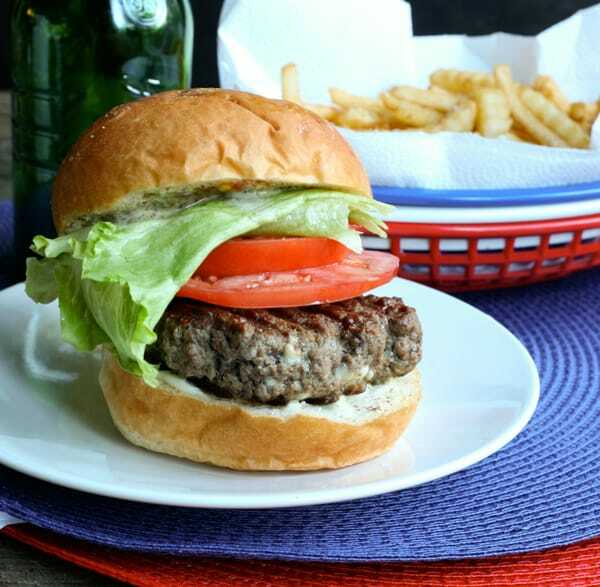 You won’t believe that with just a few ingredients you can have such a great burger. These are perfect for the grill too. 1. Preheat grill or skillet. Combine ground beef, Gorgonzola cheese, salt and pepper in a large bowl. Mix with hands and from into hamburger patties. 2. Grill until desired doneness. Hello there, I do think your internet site could be acquiring web browser compatibility concerns. As i examine your blog web page within Internet explorer, this appears fine but any time launching throughout Web browser, it offers a few overlapping. I simply wished to give you a simple minds way up!